Fuso Logistic is a third party logistics distribution center that offers flexible solutions. We offer warehousing solutions, pick and pack fulfillment and shipping services to local and international destinations. Benefit from our heated and secure warehouse with full insurance coverage. It is divided into two sections: one section offers rack storage on pallets, the other, on “pick and pack” shelves for optimal order picking. We also have the facilities to receive and destuff containers and trucks of any size. A section of our warehouse is equipped for order preparation, where your orders are treated quickly and efficiently. We palletize, prepare the shipping bill and traceability documents. We also perform a quality control at each step. 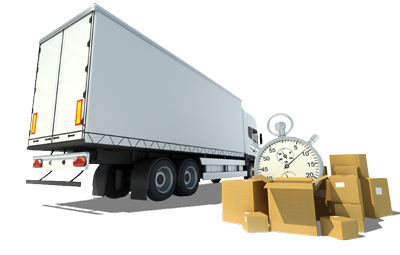 Your products will be transported on time and in the best conditions. We deliver to warehouses and stores, with or without appointments, and with regular or rush service. The solutions are customized and tailored to your business needs. Fuso allows you to transform fixed costs into variable costs while maximizing your time and space. Use only the space you need to manage your growth and your peak seasons. See the outsourcing of your inventory as a competitive advantage.